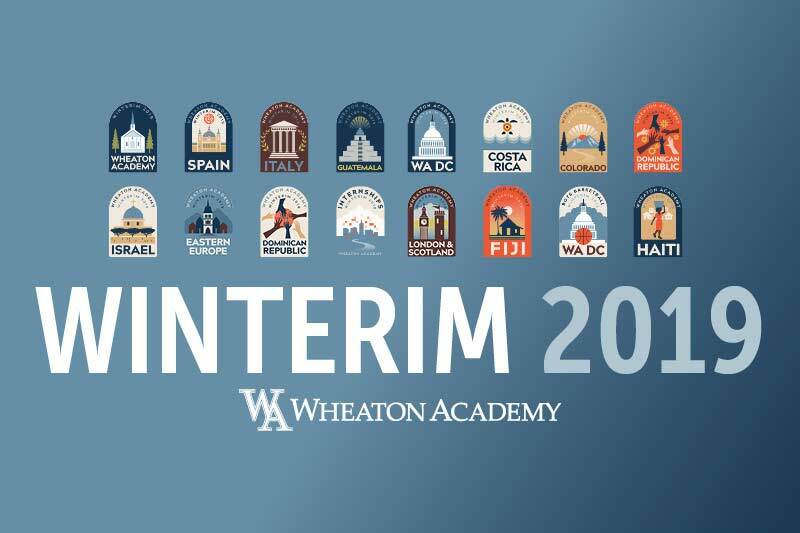 As the winter sports season starts to wind down, the Wheaton Academy Warriors had a busy week of games and home and away. With playoffs on the horizon, the Warriors will start to focus their energy toward post-season play. Wheaton Academy played Fenton (Bensonville) in their only game this week and won 53-39 behind a big night from Marcus Bult. He scored 17 points and gathered five rebounds. Jack Dykema (ten points, three rebounds), Sebastian Pares (nine points, eight rebounds), and Gerald Blackmon (five points, eight assists) also contributed in the win. The boys basketball team faces a busy week with three games in four days. Starting on Wednesday, they host Timothy Christian (Elmhurst), then play Elmwood Park at home on Friday before traveling to Addison Trail on Saturday. The Warriors concluded their regular season this week on Friday. First, they hosted Lake Forest Academy and lost 53-30 on Thursday night. 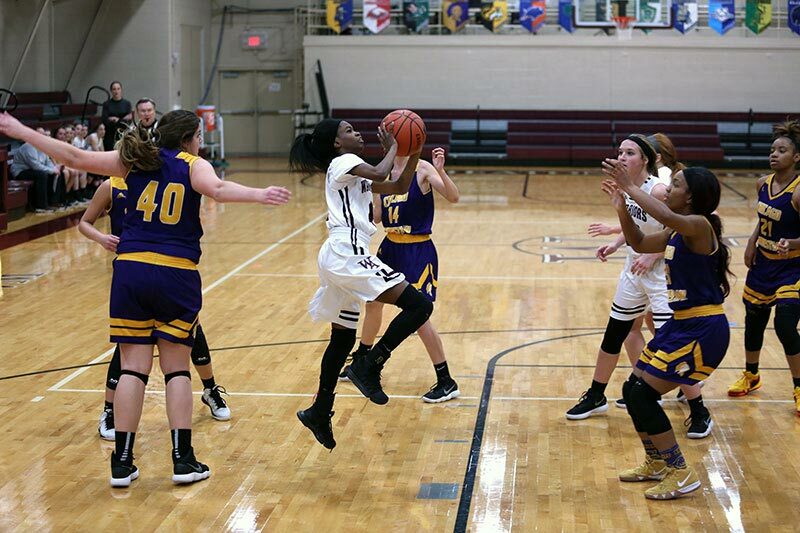 Analise Richcreek and Jerilyn Blackmon each posted nine points in the game. Imani Hillmer recorded six points and six rebounds. On Friday they visited Fenton and lost 62-56. Blackmon put up a career night of 32 points and four rebounds. 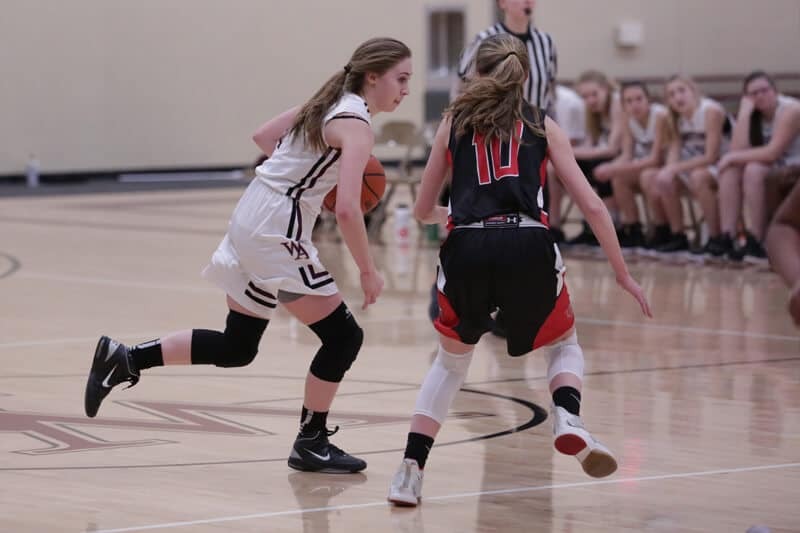 In the first round of the IHSA 3A playoffs, the girls basketball team faces off against St. Francis (Wheaton) at 6:00 PM on Monday in Maple Park (Kaneland). Wheaton Academy played St. Francis earlier this season and fell 54-32. Four wrestlers went to Byron and competed in the IHSA 1A Sectional over the weekend. Jonathan Vanderbilt (120 pounds), Alex Ventimilla (138 pounds), and Hunter Kazmierczak (160 pounds) all lost in their first matches on Friday. Being a double elimination format, they all had at least one more match. Vanderbilt lost his second match and finished the season with a 21-13 record. Kazmierczak also fell in his second match and concluded his freshman season with a 23-15 overall record. Ventimilla won his second match by pinning his opponent from Stillman Valley. In his next match, he lost 4-3 against his opponent from Orion who was ranked sixth in Illinois. He finished the season with a 12-3 record, with all three losses coming against ranked opponents. Derek Johanik (285) lost his first round in overtime to the second-ranked wrestler in the state. In wrestle backs, he defeated his opponent from Dakota in the final seconds qualifying him for the state tournament. In the third place match, Johanik fell to the defending state champion and earned fourth place in the sectional. He is currently 30-4 on the season with the state tournament remaining. The IHSA 1A State Tournament is held at the State Farm Center in Champaign and begins on Thursday.